With a post-World Cup player value of US$204.2 million, Neymar is still the world's most expensive player just ahead of France's Kylian Mbappé. RIO DE JANEIRO, BRAZIL – After a disappointing 2018 World Cup in which he has become globally ridiculed for his theatrical dives and flamboyant rolls, Brazilian star forward Neymar has seen his commercial player value drop eleven percent, from US$229.7 (€197.3) million to US$204.2 (€175.4) million, reported Brazilian sports-consultancy group, Pluri Consultoria. 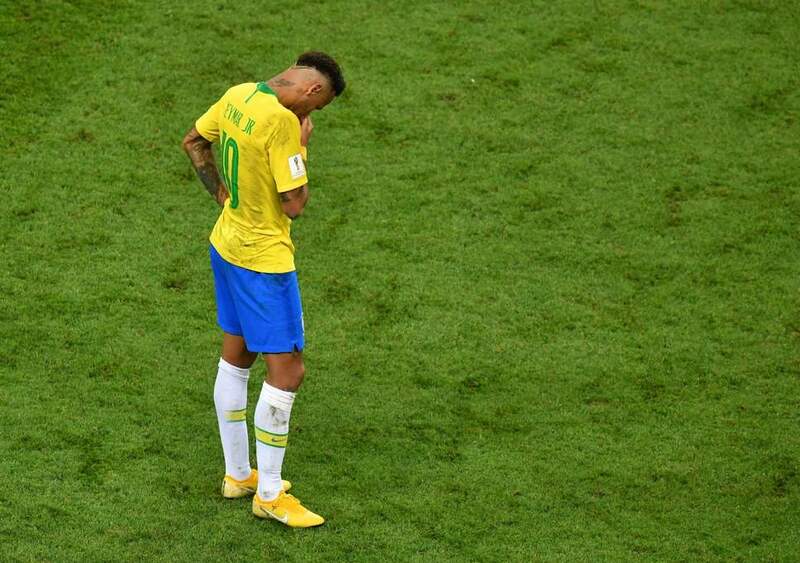 After a disappointing World Cup campaign, Neymar’s player value has dropped US25 million, photo internet recreation. Ferreira states that while Neymar still represents a strong commercial brand, the 26-year old is far behind both Argentina’s Lionel Messi and Portugal’s Cristiano Ronaldo at similar stages in their careers. Even with this financial downturn, the Pluri report concludes that Neymar is still the most valuable player in the world, slightly ahead of France’s 19-year-old phenom Kylian Mbappé. After a superb World Cup in which he scored four goals en route to France’s second Cup trophy, Mbappé saw his player value skyrocket 44 percent, from US$137.6 (€118.2) million to US$198.7 (€170.7) million. Veteran superstars Lionel Messi and Cristiano Ronaldo, both thought to be entering the later stages of their playing careers, saw their player values drop after the 2018 Cup. Messi, 31-years old, saw his value drop 21 percent to US$188.4 (€161.8) million after the Cup, while Ronaldo, 33-years old, dropped 26 percent to US$ 127.7 (€109.7) million. According to Pluri, Brazil’s much-heralded men’s national soccer team (Seleção) as a whole also saw their commercial value drop as a result of the club’s earlier-than-expected exit from the World Cup. Following the the Seleção‘s 2-1 loss to Belgium in the Cup Quarterfinals on July 6th, the club’s value fell four percent, from US$1.108 billion (€952 million) to US$1.069 billion (€918 million). With the decrease, the Seleção‘s team value remains just behind France, considered the most valuable club in the world, before and after their 2018 World Cup win. Before the tournament, France’s team value was US$1.18 (€1.012) billion. After winning the Cup, the club’s value climbed six percent, to US$1.24 (€1.069) billion. Pluri Consultoria uses over seventy different criteria including age, playing ability, market valuation, and international appearances, to determine financial market values of soccer teams and players.